A chance to focus on and prepare for one of the most important events of your life. 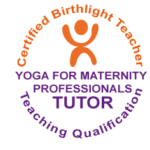 Our workshop is a ‘practice birth’ that begins with the time at the end of your pregnancy and ends after your baby is born. We learn to use simple and effective ‘Birth tools’ to feel prepared and well equipped to create a calm, gentle birth. Prepared with knowledge and a deeper understanding of the birth process, women and their birth partners can approach childbirth with confidence and clarity. Most importantly, our workshop is a celebration of birth and helps couples feel empowered and connected. ‘I give women a positive attitude towards childbirth. Culturally we see birth as something to fear and dread but we should be celebrating birth and teaching women how to look forward to the event positively. This preparation helps women remain calm and in control of what is happening and to be clear about what intervention they want, when and if it is needed.’ Helen. How we can influence and change our birth experience. How to create a positive physical and emotional environment. The signs and stages of labour. Staying calm and relaxed during labour. The amazing female pelvis and the power of the uterus. Hormones, their role in labour and how to make them work more effectively. Navigating the unexpected in a positive way. The role of the supportive birthing partner. Both your feelings about your birth. We finish with a deep relaxation practice. This is a welcome chance to be still and relax together but also helps the mind and body to absorb the birth workshop experience more completely. “My husband and I attended Helen’s birth work shop so I could have a more peaceful and empowering birth my second time round. From the get go Helen went out of her way to make us feel comfortable and at ease. We discussed and practised a range of techniques that helped me and my husband achieve the natural birth I wanted. The class took place over 4 hours and it was just the right amount of time to talk about our worries and fears and to get the info we needed to get the birth I wanted. I can’t recommend Helen and her birth work shop highly enough. 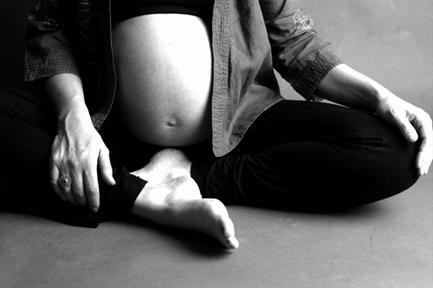 “I began attending Helen’s Pregnancy Yoga class when I was about 16 weeks pregnant. I did this for a term. Originally sceptical, I bit my tongue and had a go because my husband and midwife were very encouraging and determined to support me through getting past my fears and negative mindset surrounding childbirth. This is because my first experience 5 years ago was a horrific labour. So, I did it [yoga]. I absolutely LOVED IT! Every Wednesday I would return home and talk my husband’s ear off, even giving him demos of my new moves and breathing techniques. I soon started to develop a much more positive attitude to the possibility of actually having a beautiful birth (second baby). Helen is very empowering. I particularly loved her mantra “women should feel like a goddess when they are birthing their baby”. After the term with Helen, I made sure that my husband and I booked in to her Birth Workshop. I was around 37 weeks pregnant at the workshop. Luke and I thoroughly enjoyed the intimate and relaxing atmosphere, and we felt comfortable to discuss our concerns and ask questions in a supportive environment. The workshop was highly informative and it opened our minds to the way birthing should be. It was refreshing to be given different knowledge and perspectives on how partners and the mother, can support the birth of their child positively. Luke and I ended up having the most beautiful labour AND birth, and I, with full confidence, have no doubt that this was owed to Helen’s workshop and classes. She helped me to completely transform my way of thinking and embrace my body’s strengths and the power of my mind (mind over matter) to deliver my baby drug free. This is what I wanted. I had my husband by side encouraging my learnt birthing techniques as the perfect birth partner and it was an experience that we hold dear to our hearts and will forever cherish. Lastly, during my last push (my baby’s body), “I am a goddess” came out of my mouth. haha! My midwife and husband replied “Yes you are!” ” – Sharna Tosevic.